Applied Theatre refers to the practice of theatre and drama in non-traditional settings and/or with marginalised communities. It encompasses theatre practices which tackle areas of social and cultural policy such as public health, education, housing, social welfare, and the care system. This course provides a specialist route for graduates who wish to develop as educational practitioners using theatre and drama. Throughout this course you will study a range of core modules, and during your first term of study you will have the opportunity to tailor your studies through taking optional education modules. Modules on offer include Special Educational Needs (SEND), Comparative Education, and Teaching English to Speakers of Other Languages (TESOL). The sessions are designed to be interactive, utilising a variety of teaching and learning strategies such as lectures, seminar discussions and ‘hands on’ practical activities related to theatre and education. Working alongside industry professionals, students will gain a wide range of skills and understanding over and above their course content e.g. fundraising and marketing. Students will be studying in a real-life context and working on a regular basis alongside the Learning Team at Derby Theatre. 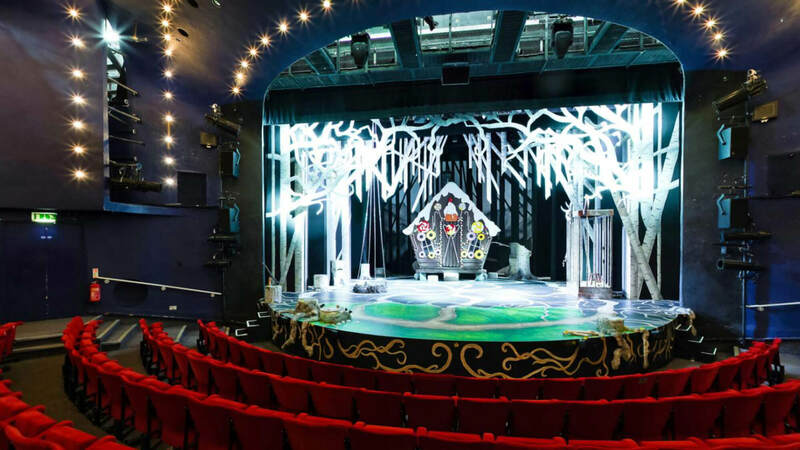 The Theatre is uniquely placed to support the networking, connectivity and employability of students as it has an excellent reputation within the industry. Graduates of the programme can also be supported by our Artist Development Programme, In Good Company, which is part of a large regional funding programme. Take a 360 tour of the theatre facilities below. You will be assessed through both written and practical assessments, which could include essays, portfolios, performances, workshops and presentations. You will normally be expected to have a first degree appropriate to apply for the MA (minimum 2:2 or above), or a professional qualification of equal standing, or significant practical or professional experience gained following your initial qualification that would support your application. You will also be invited to an interview as part of the application process to ensure that this is the right course for you, and to demonstrate your prior or ongoing practical experience in the field, whether this may be paid or voluntary. Graduates of this programme are prepared for careers in a range of private and public sector opportunities for example: As creative learning officers in theatres, museums and other community-based organisations; education directors and managers for cultural organisations; facilitators of youth theatres and other projects; health and wellbeing theatre specialists; freelance practitioners working in a wide range of settings including schools, prisons and the care system. Graduates will develop a sense of confidence as artists, facilitators, project managers and those that will help develop arts policy of the future.